The antibacterial cleaning power of Peroxy II fbc kills 99.9% of household bacteria* (*Staphylococcus aureus and Enterobacter aerogenes) in 2 minutes. 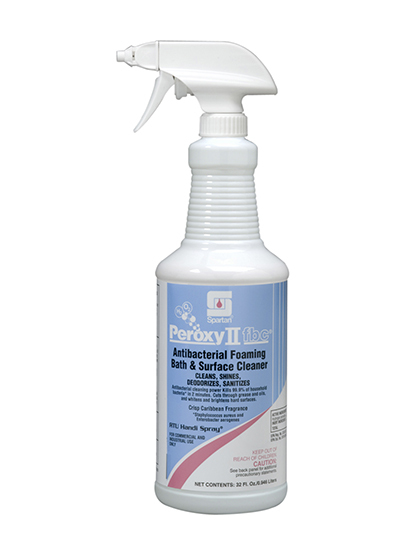 Formulated with hydrogen peroxide and citric acid, Peroxy II fbc cuts through grease and oils, and whitens and brightens hard surfaces. This foaming bath and surface cleaner effectively removes soap scum and hard water films and features a crisp Caribbean fragrance.